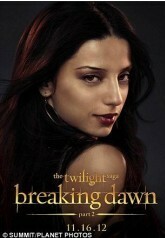 MTV Previews Breaking Dawn Part 2 with Bill Condon! J.D. Pardo, Nahuel in Breaking Dawn Part 2, is also starring in NBC’s upcoming show Revolution. Who’s planning on tuning in? Log in | 71 queries. 0.985 seconds.